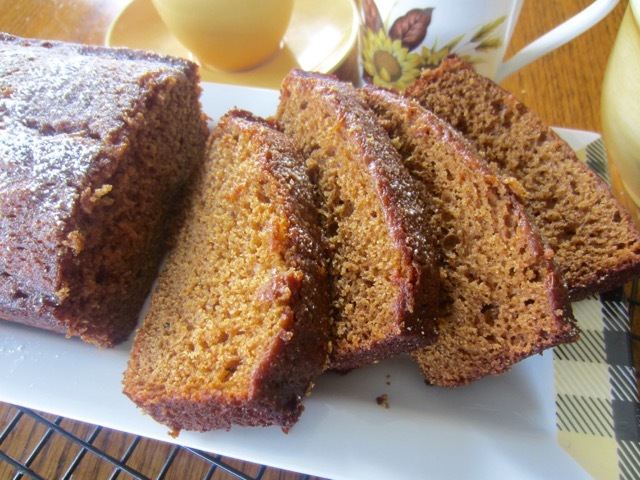 I used light molasses for this recipe. 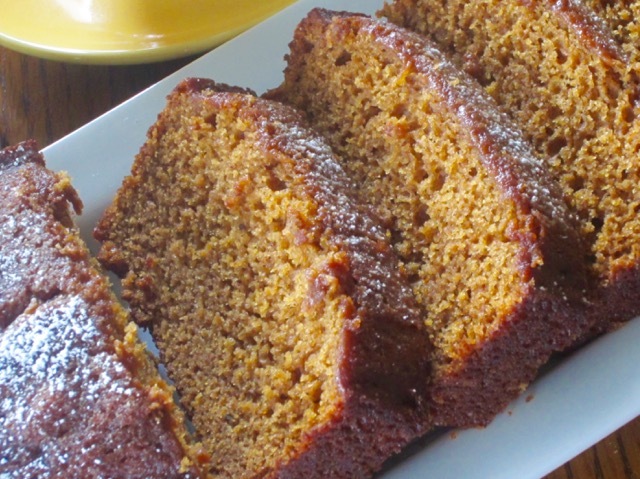 You can use cane molasses or black treacle. 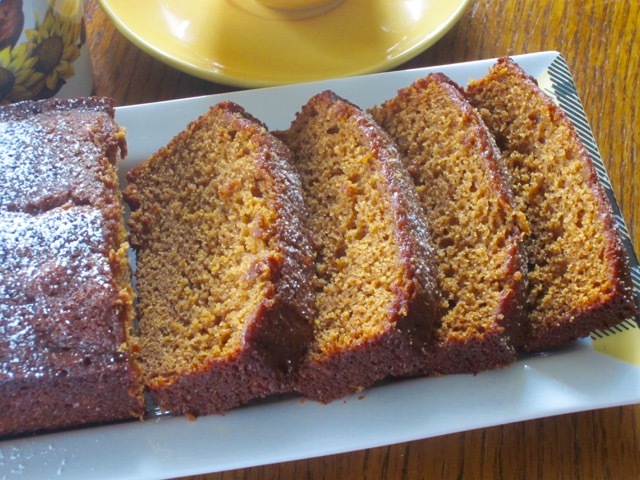 The cake was sticky and delicious. I stored it for two days before tasting. Once we started eating, we couldn’t stop so it was finished pretty fast. I hope you’ve started your week well. I wish you the best of August. until melted and runny but do not boil. Remove from the heat and add the milk and stir with a wooden spoon until lukewarm, then addd the beaten egg and mix with a wooden spoon. 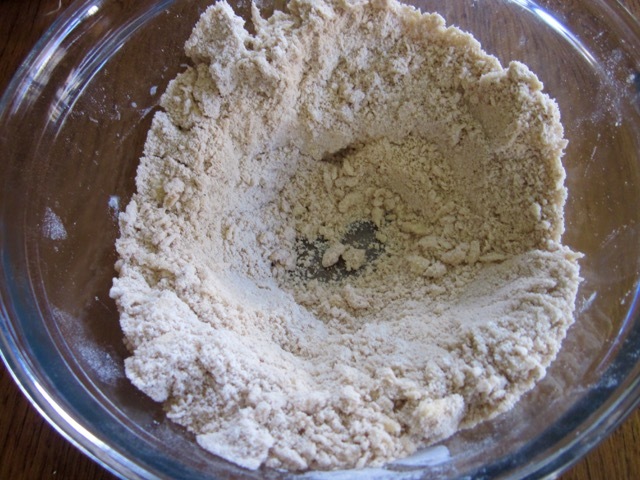 Divide the batter equally, into the prepared loaf pans (tins). Bake about 25-30 minutes or until a skewer inserted into the centre of the loaves comes out clean. Run a round-bladed knife around the inside of the tin to loosen the loaf, then set the tin on a wire rack to cool completely before turning out. Wrap the loaves with aluminium foil and leave for at least a day before cutting. 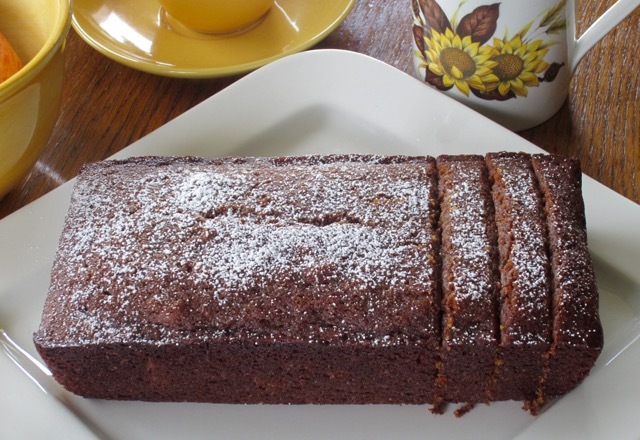 The cake will get stickier the longer it is kept. Store in an air tight container. 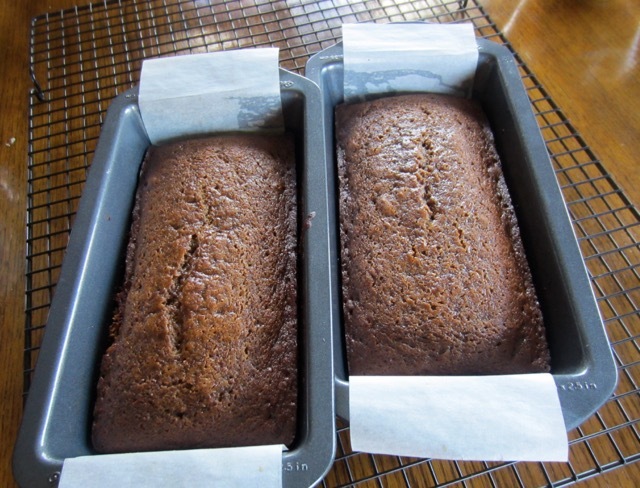 Grease and line the bottom of two 8 x 4-inch (20 x 10cm) loaf pans with overhanging parchment (greaseproof paper). Preheat the oven to 350ºF (180ºC), ten minutes before using. 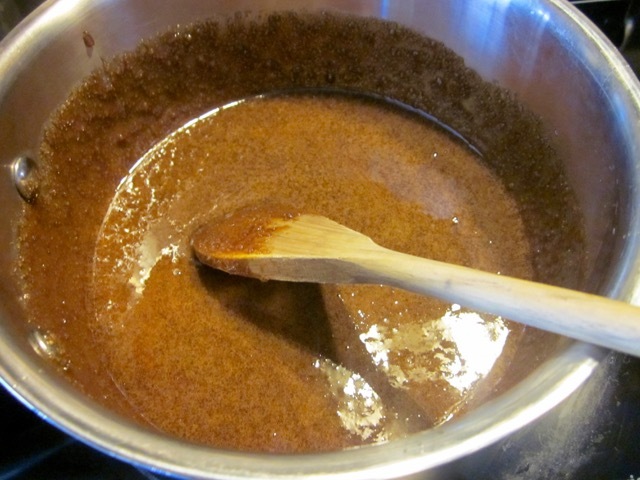 Spoon the treacle or molasses, golden syrup and brown sugar into a medium pan and warm gently until melted and runny but do not boil. Remove from the heat and add the milk and stir with a wooden spoon until lukewarm, then addd the beaten egg and mix with a wooden spoon. 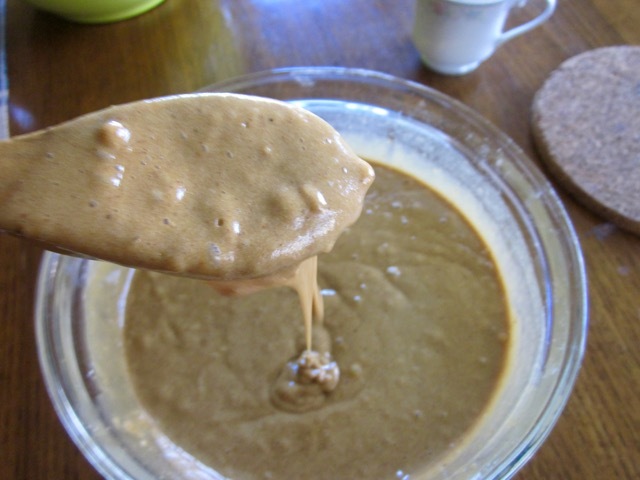 Pour the syrup-milk-egg mixture into the well and mix to form a smooth runny batter, the consistency of double cream. 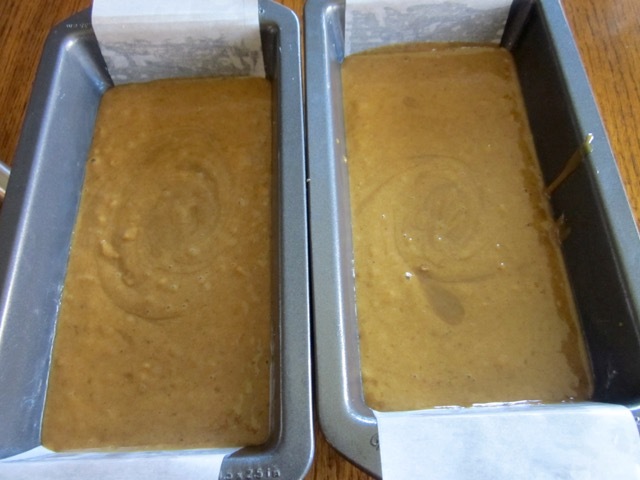 Divide the batter equally, into the prepared loaf pans (tins). Bake about 25-30 minutes or until a skewer inserted into the centre of the loaves comes out clean. Run a round-bladed knife around the inside of the tin to loosen the loaf, then set the tin on a wire rack to cool completely before turning out. Wrap the loaves with aluminium foil and leave for at least a day before cutting. The cake will get stickier the longer it is kept. Store in an air tight container. Yummy. Gingerbread. Some like a lemon sauce over it. I always prefer mine plain. Happy August to you. Lemon sauce and ginger….mmm what a combination. I also just prefer mine plain. Wish you the best of August! This is such a gorgeous bread Liz! Are you on Facebook and Instagram? What is “mixed spice”? 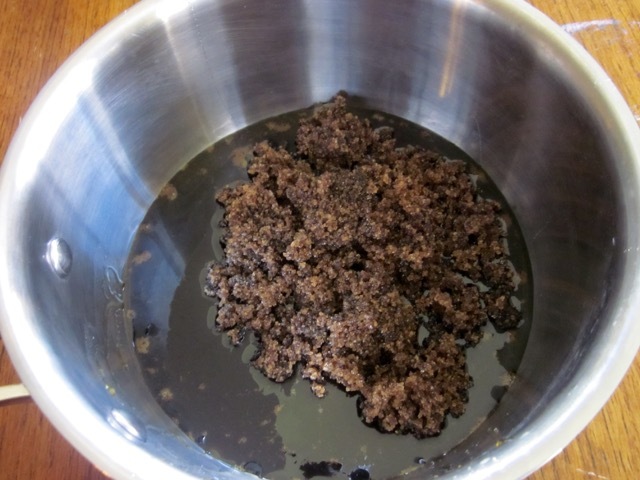 I have something called “allspice” – is that the same thing? WOW – that sounds pretty potent! I have pumpkin pie spice, so could add mace to it maybe. I love a sharp gingerbread. Mine is always very dark; almost black. But that lighter color is very appealing, too. I assume you use blackstrap molasses? I used the lighter one. I don’t like the taste of the blackstrap one! I am fine thank you Liz, especially now that I have a new girlfriend. Yay ! Mmm new girlfriend. So fancy!!! The weather is good so nothing to complain about! Looks Rockin! What is the max you could leave it wrapped before it turns the opposite direction? How can I obtain maximum stickiness? Good question. I ate mine after two days. I think it shouldn’t last more than a week, but it depends on the weather. I made mine before the hot summer days. Have a great week!